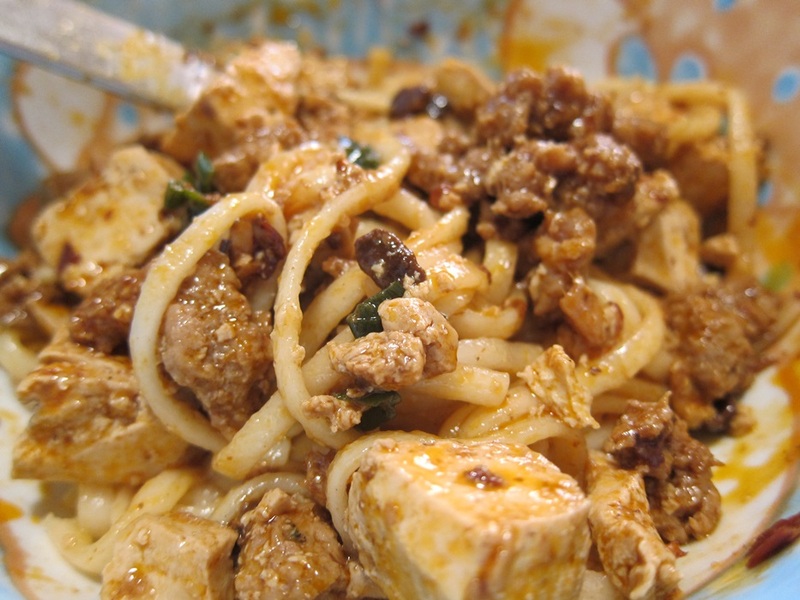 This was a dish I’d never heard of, that I ran across while looking for something to do with ground pork. 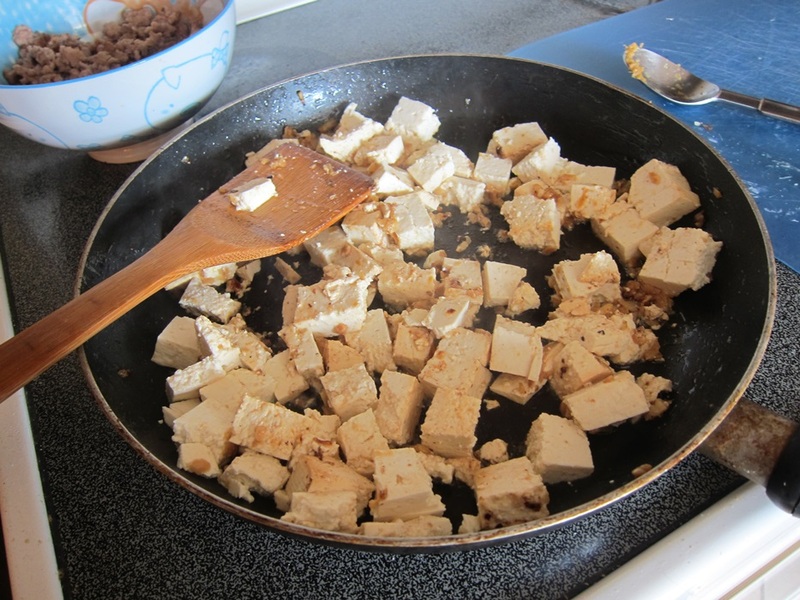 I’m generally sort of hesitant about tofu things (it’s so…squishy! ), but I quite liked the flavor of this sauce, and enjoyed the dish! It’s spicy, salty, and pretty delicious, and was something I could get cooked after work but before dying of hunger. The bean sauce I got at a small Asian market that is inexplicably in this tiny Wyoming town. I’m pretty excited – the first time I went in there I asked about the Korean rice cakes used in this soup, and they should have gotten some by the time I go back this weekend! 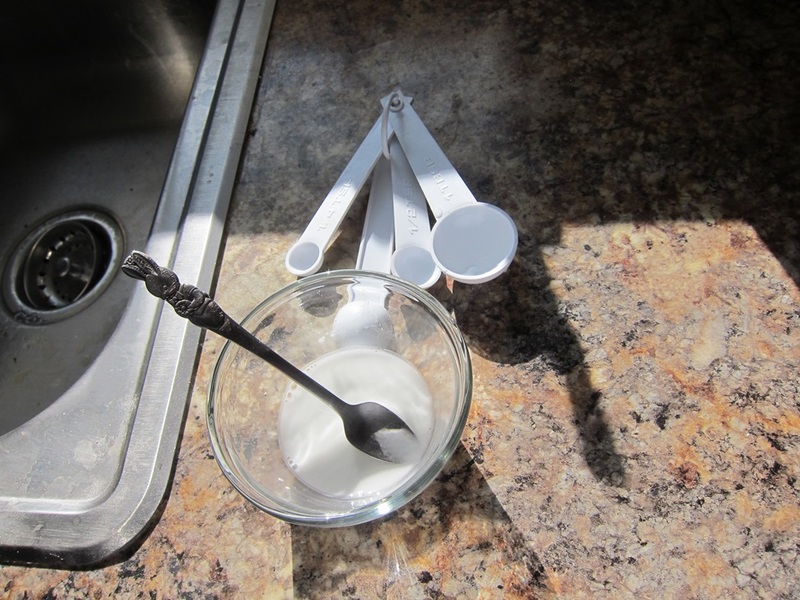 First, mix the cornstarch and water together in a small dish until no chunks remain, then set aside. 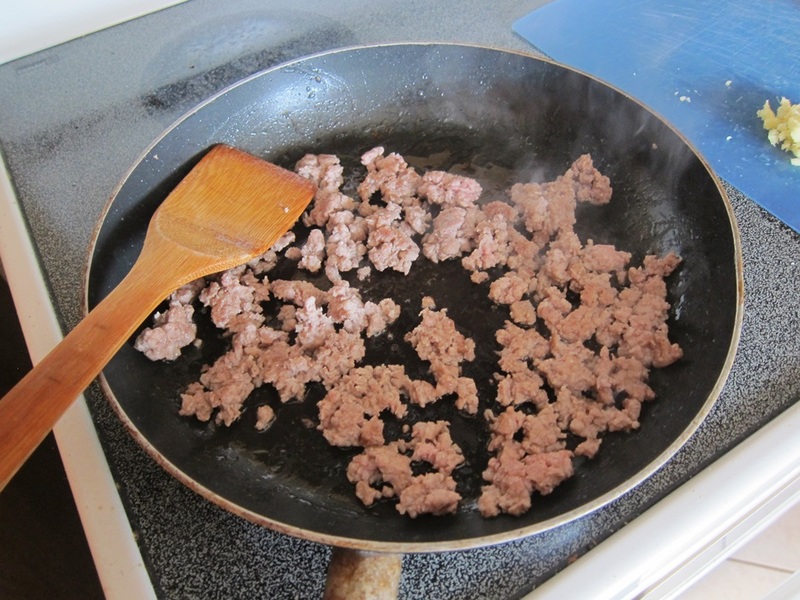 Brown the ground pork in a large skillet or wok over medium-high heat. Transfer the cooked pork to a bowl and set aside. Leave up to a tablespoon of the grease from the pork in the pan, discarding excess, and return the pan to the heat. 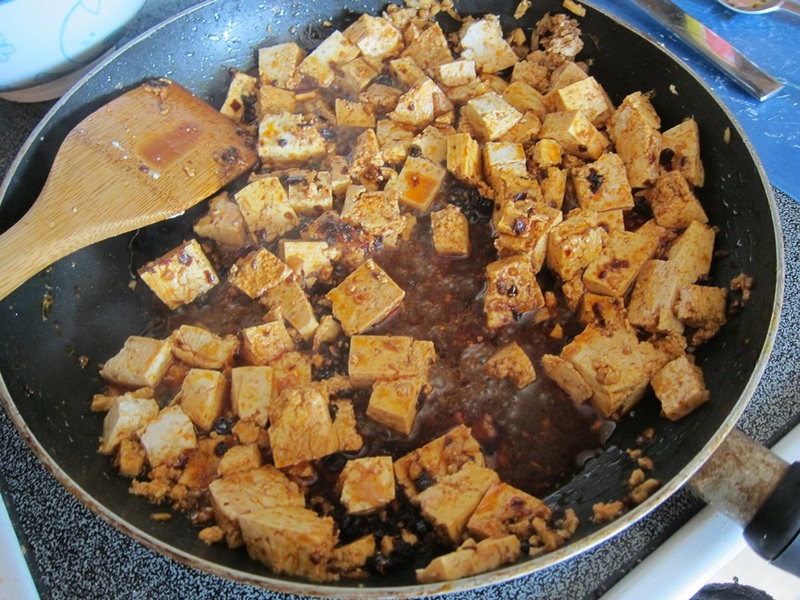 Cook the garlic and ginger until fragrant, about 1 minute, then stir in the tofu and cook a further two minutes. Stir in the soy sauce, hot bean sauce, and sugar. Add the pork and green onion. Drizzle the cornstarch mixture over the pork mixture and stir to combine. 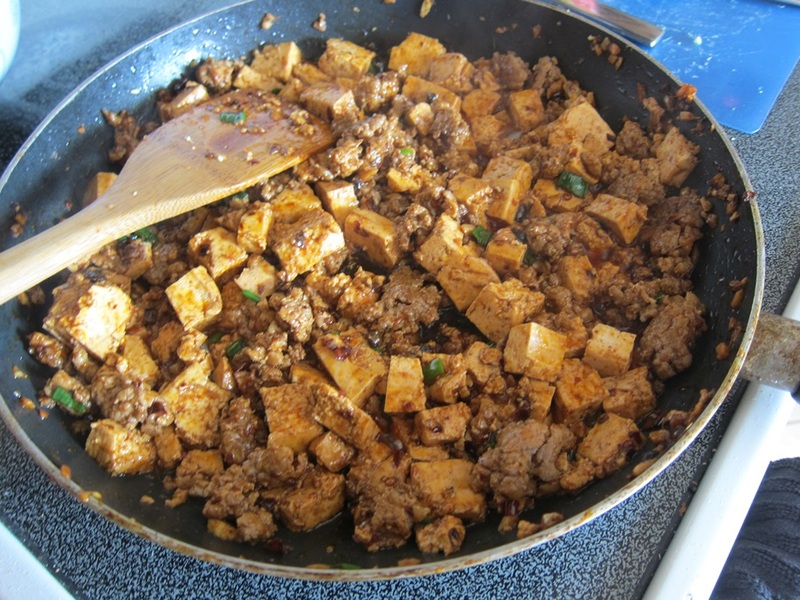 Cook until thickened, approximately another two minutes, then stir the sesame oil into the mixture, and serve. As is, I would say this is a bit more than 2 dinner’s worth. If you serve it with some noodles or rice, I’d think you could feed four, with very little work! If pork is not your thing, multiple comments on the original recipe mention replacing it with asparagus. That’s a weird substitution, but seems to work for others! A tiny bit adapted from AllRecipes. 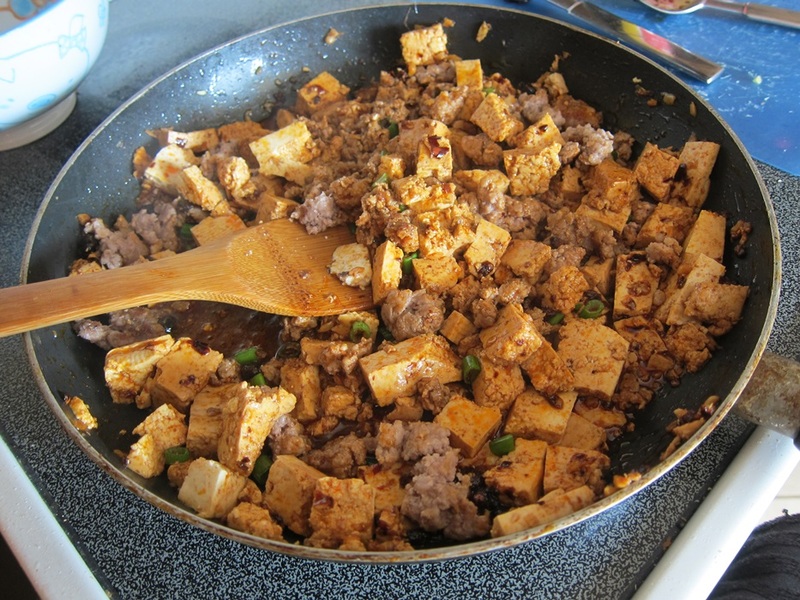 Brown the ground pork in a large skillet or wok over medium-high heat. Transfer the cooked pork to a bowl and set aside. Leave up to a tablespoon of the grease from the pork in the pan, discarding excess, and return the pan to the heat. 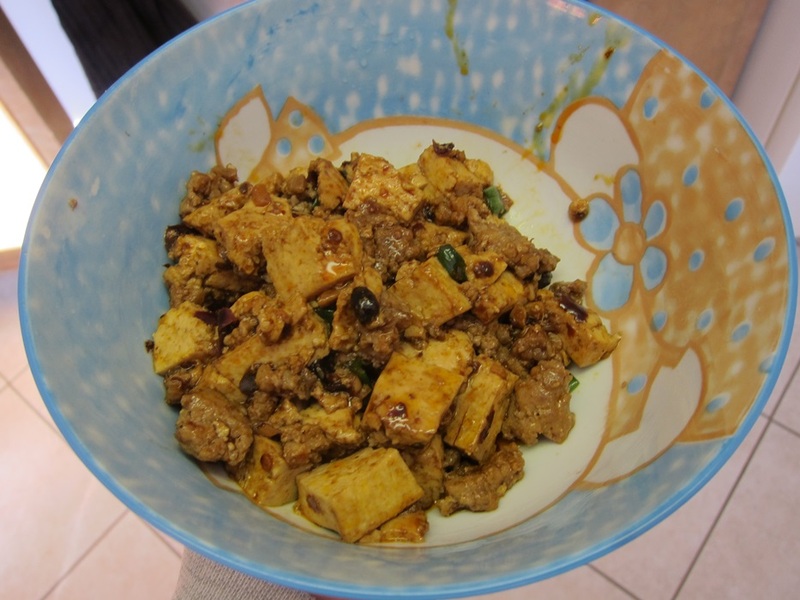 Cook the garlic and ginger until fragrant, about 1 minute, then stir in the tofu and cook a further two minutes. Stir in the soy sauce, hot bean sauce, and sugar, followed by the pork and green onion. Drizzle the cornstarch mixture over the pork mixture and stir to combine. Cook until thickened, approximately another two minutes, then stir the sesame oil into the mixture, and serve. 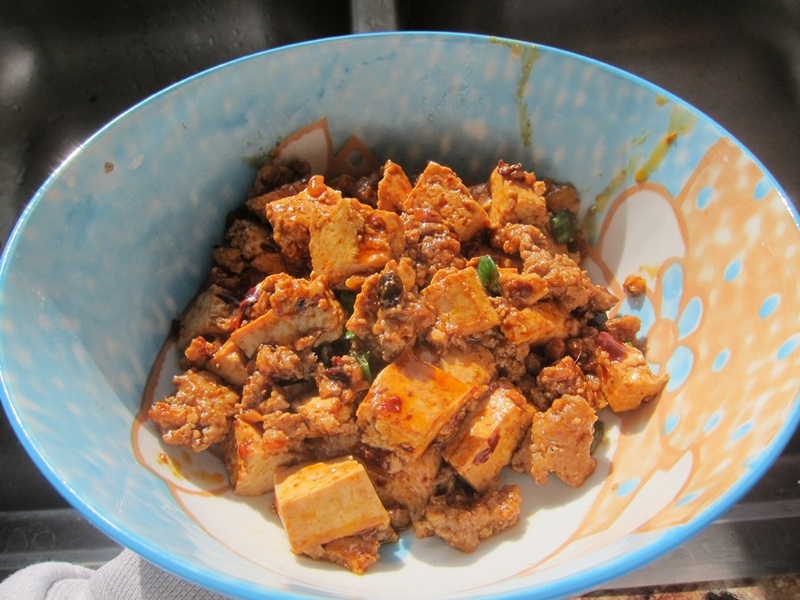 This entry was posted in Dinner and tagged Chinese food, mabo tofu, tofu. Bookmark the permalink.